Dried lavender flower is extremely aromatic and maintain full aroma in dry form. In terms of aromatherapy, the lavender scent is commonly used for relaxation and peace of mind. They are great for making floral bath water. These dried lavender buds are a stunner in the kitchen - a little goes a long way! Use in spice mixes, custom tea blends, baking, ice cream, and feature desserts. Infuse to make simple syrup for lovely lavender lemonade! Brewing Instructions - Steep 5 grams (1tbsp) of tea, put the tea in hot water, allow it to brew in hot water for about 4-5 mins. Enjoy it with honey or sweetener like agave nectar. 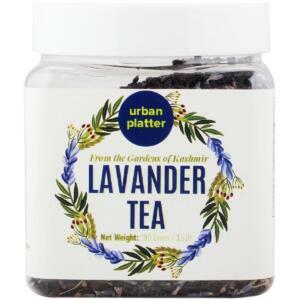 Urban Platter Dried Lavender Flowers, 70g / 2.4oz [All Natural, Premium Quality, Aromatic] Dried lavender flower is extremely aromatic and maintain full aroma in dry form. These dried lavender buds are a stunner in the kitchen - a little goes a long way! 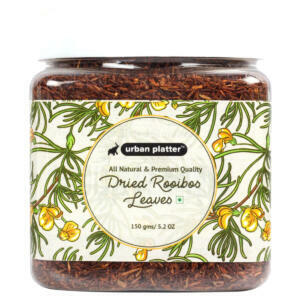 Use in spice mixes, custom tea blends, baking, ice cream, and feature desserts. Infuse to make simple syrup for lovely lavender lemonade! In terms of aromatherapy, the lavender scent is commonly used for relaxation and peace of mind. They are great for making floral bath water. Dried lavender can also be added a bubble bath to make fragrant as well as fun!